If you’re one of those people that doesn’t like math, then it can feel like torture to try to figure out your finances. You have to figure out how to get from point A to point B with a bunch of numbers that don’t make sense individually, so how can you possibly have them make sense as a whole? If you find that you need to crunch numbers and you are uncomfortable with this process, there are steps that you can do to help yourself out. Start with the basics. First, you need to make a budget for yourself to see what those numbers are. Second, you can find an app to install on your mobile devices or your desktop that can help you organize. 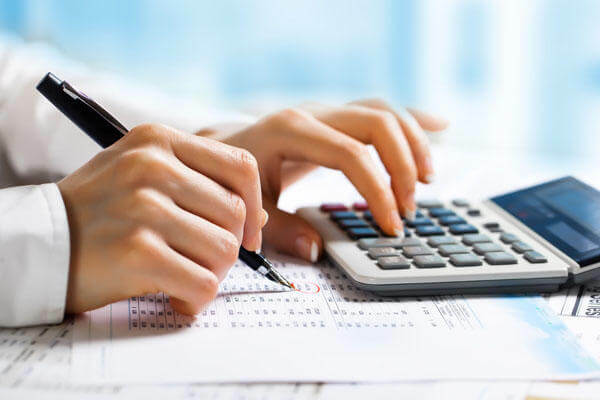 Another way that you can get help crunching financial numbers is if you talk to specialists or lawyers, especially when it comes to things like taxes. In the end, to avoid different types of economic frustration, try to move in the direction of organization using small, manageable steps. One of the first things that you should do to reduce your anxiety about financial numbers is to create a budget for yourself. If you want to start small, you can create a budget just for your groceries. Then, you can move up to a household budget. And from there, start putting in numbers to build a life budget. Once you have this budget set up, the next step you should do is find an app to help you organize all of your finances. You can install fantastic budgeting apps on your phone or your desktop, and a lot of them are entirely free. Once you have a central account set up, it’s possible to get a real-time Birdseye view of your finances at any point, and you can use the trends in search factors to help you understand where your money is coming from and where it is going to. Especially when tax season is around, you may want to contact a tax lawyer to help you work with your numbers. If you own a business, contacting a professional is even more critical, because you don’t want to make any mistakes that would jeopardize your personal or business finances. A lot of the frustration that comes with working with numbers is the fact that people try to do too much all at the same time. If you take simple steps to help organize your finances one at a time, you’ll find that you do a much better job of staying organized, understanding what you’re doing, and being able to maintain this sense of fiscal responsibility.